Graduation is authorized by the Garden Grove Unified School District Board of Education, and a diploma will be granted to all students who have earned 220 units of credit from the adopted Course of Study during grades 9 through 12. Students are required to complete credits in all courses listed below to be eligible for graduation. Students must also mass both the English language arts and math sections of the High School Exit Exam to graduate. The HSEE is given every March to all tenth grade students. Students who do not pass both sections of the test may retake one or both sections each fall, winter, and spring. 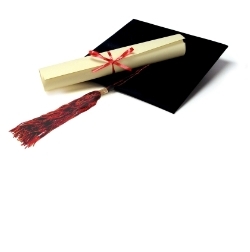 No student will participate in the graduation ceremony unless he/she has completed all graduation requirements. Fine Arts/Applied Arts 1 year – May be met by taking courses in art, music, speech, drama, applied arts, home economics, business, ROP or the third year of a foreign language. These electives should be selected according to the student’s Personal Learning Plan with post-high school goals in mind. These elective credits are made up from academic courses (foreign language, third and fourth year of science, fourth year of math, or additional P.E., fine/visual arts, and vocational courses).